How to Register Back Button Action. How to adapt templates based on the platform your program is running on. How to retrieve unique device information based on the used platform. This tutorial would cover the fundamental knowledge of program your ionic code in a way that it's functionality is adjusted based on whatever platform it may be running on. For example if it is running on a mobile device which may be either android,windows or ios, it would be running on cordova. Or if on a laptop it would be running on MAC'OS and some code needs to be modified for that. Starting up with the basics, registering back button action. This is essential in each platform you choose to run your program on. Back button action registering is what helps you choose what to do with your hardware backbutton on the instance of every page. Lets get to the code..
First things first you would need to import an 'ionic/angular' module called Platform. It comes with every project generated so there isn't need for any npm packages downloads. As the comments within the code we register the back button action for each page and unregister it as we are leaving the page so it wont be triggered while we press the back button on another page. The thing about using one code base is that you want one code base to be able to run on various devices. This can be quite a dilemma when you want the same code to run on a laptop and a phone with the same code because of how the screen size and shape may change. For instance tabs may look good on a phone but look horrible on a desktop version. Here are a few ways you can adapt your template based on what platform your code is running on. 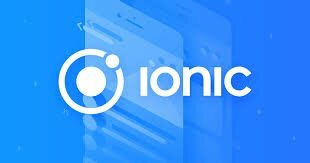 This is a commonly neglected ionic property that isn't too familiar to angular user that choose to start up ionic. The alternative to this is referencing the template from the pages .ts file and editing it based on our result. But that would be way more lines of code and way more hectic than using this simple property that does this for us. You can use this directly from the template file so you don't have to include logic for any of this. This can only be used for screen orientation. I am hidden on Android! I am hidden on iOS! I am hidden on Android and iOS! I am hidden on Portrait! I am hidden on Landscape! You wouldn't be able to test this out in your chrome browser so you would need to compile this for either android or ios and test this out of the emulator. Every device comes with a unique id. This would be very valid if you need to know a user regardless of whether he uninstalls and reinstalls your app. Because the devices id would never change. There is a cordova plugin that is available which would help you detect the devices id in a string format which you can use. We suggest you improve the structure of your tutorial. Always separate the paragraphs so that your tutorial is easier to read. It is important to have images with the results of what is developed, so the reader has the perception of what was done. Thank you for your work in developing this tutorial. We've been waiting for more tutorials.